Salesforce offers a range of valuable capabilities that organizations rely on every day to be more productive in achieving their business goals. However, it does not address key concerns about data availability, compliance, and security. Therefore, it is imperative that businesses supplement the native capabilities of Salesforce with Druva inSync to establish a strong data-protection solution in the cloud. 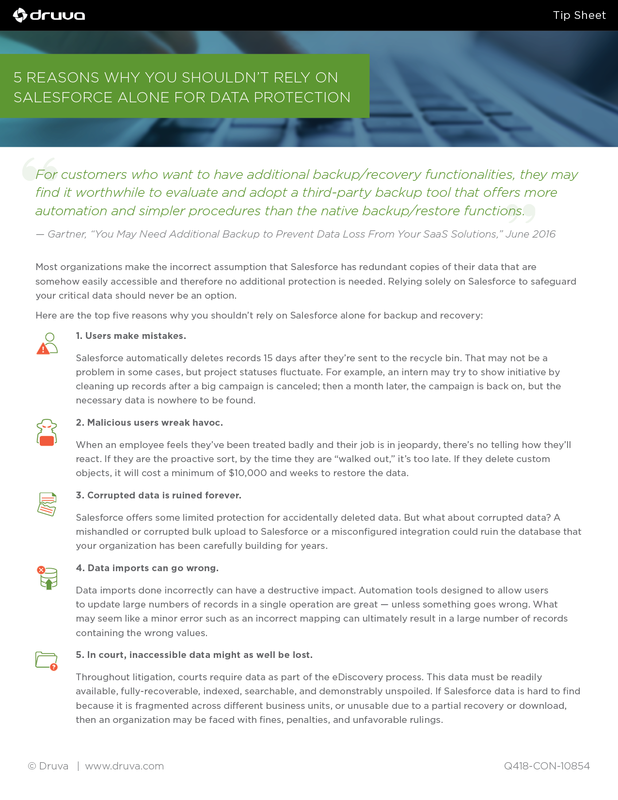 Why you shouldn’t rely solely on Salesforce to back up your data. What’s at stake when your critical data is in Salesforce. How Druva can help you effectively back up and protect your data.